These are my top wedding tips for a picture perfect wedding. Ask your artist to stay away from shimmer, bronzer, and anything with the word “Glow” in it. The camera sees anything shiny as sweat or oil. Stick with matte makeup that will smooth out your skin tones and accentuate your features. You want you friends to look like their having fun at your wedding, so hiring a DJ who will get everyone out on the dance floor is key. Up-lighting can help add to the party mood, but ask your DJ to hold off on the laser lights and disco balls until after the first dance and parent dances. No one looks good with green dots all over their face.And if you want to impress your guests, or just learn how not to trip over your own feet, lessons from EdanSe Ballroom will help you look smooth as you show off some sweet dance moves. Building a timeline to take advantage of the best light of the day is important to making sure your photos turn out great. Although I can get stunning images at any time of day, the look changes from soft morning light to the harsh shadows cast at noon to golden, radiant light just before sunset. Two hours before sunset is when the magic really happens, so plan your portraits around that time. Keep in mind the sun sets as early as 4 p.m. in the depths of winter in Connecticut. Buy a dress that fits.Even if you plan to loose weight before your wedding, squeezing into a dress that’s too small will never end well. Even if you’re a skinny-mini, bulges will appear in an unexpected places with an ill-fitting dress. Pick a dress that fits your body type and looks good on you, no matter what the fashion of the day. You won’t regret it in 20 years when that trendy dress looks horridly dated.For full figures, a empire waist will flatter a larger stomach while a natural waistline will emphasize your hourglass figure. Accessories like a bolero, scarf or elbow length veil can soften larger arms. Consider straps or sleeves to slim your shoulders. The bride’s lacy straps help slim her shoulders while the bejeweled belt at her natural waist line show off her hourglass figure. The bride’s slim figure looks great in this strapless dress, but the pearl necklace helps break up the distance between her shoulders and slims her down even more. The sweetheart neckline and belt compliment her figure. A great wedding planner can help your day run flawlessly. You’ve probably never done this before. 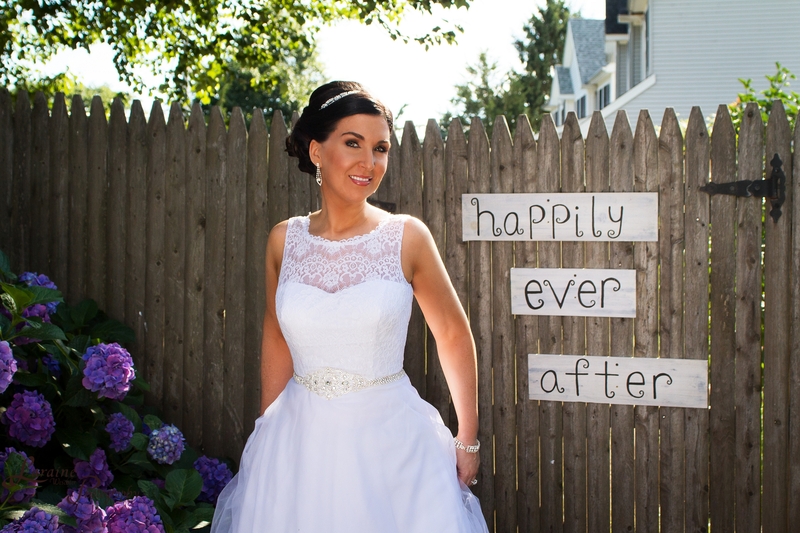 A wedding expert will help you choose all those little details your photographer will capture. A stress-free bride is a beautiful bride. Building a realistic timeline will ensure your photographer has time to capture everything beautifully. Don’t forget to plan for those extra minutes in between the big events, to herd the bridal party, travel between locations, and accept congratulations from your guests. I recommend about an hour of getting ready photos and two hours for bridal party and family portraits. Hire a photographer you trust. When it’s all over, your photographs are the only tangible evidence of one of the most important days of your life. 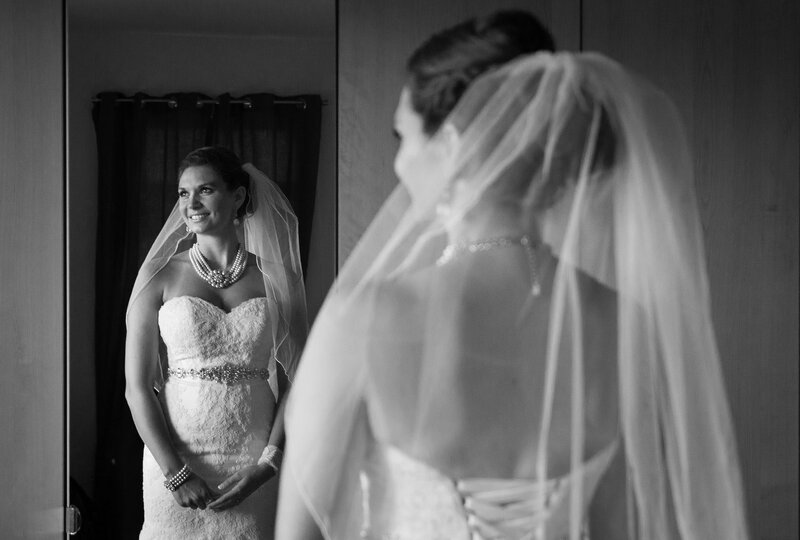 When you’re confident your photographer will beautifully capture every moment, you will be free to enjoy the memories of your dream day for years to come.